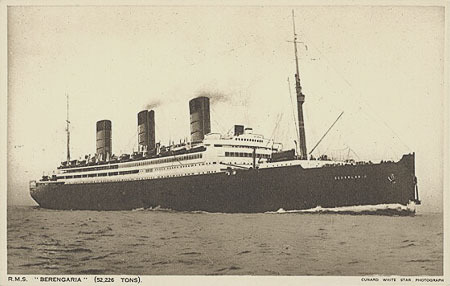 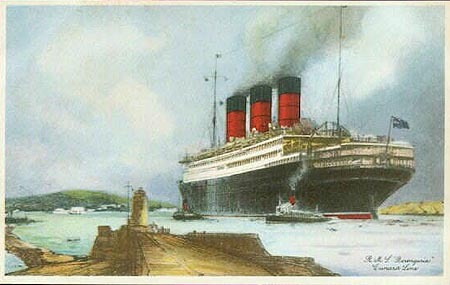 This page is devoted to postcards and photographs of the HAPAG liner Imperator, which later became the Cunard Liner Berengaria. 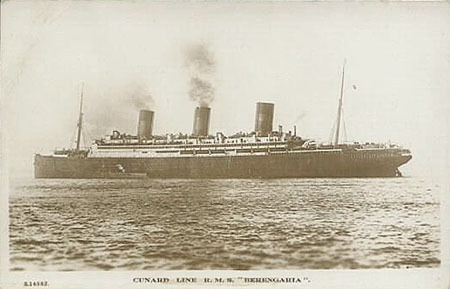 Berengaria was built in 1913 as the Imperator of Hamburg America Line. 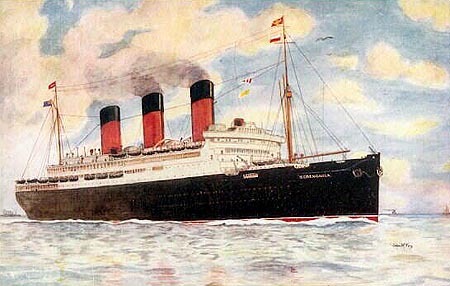 She was taken over by the UK as a war reparation, and in 1920 was purchased by Cunard and White Star lines jointly. 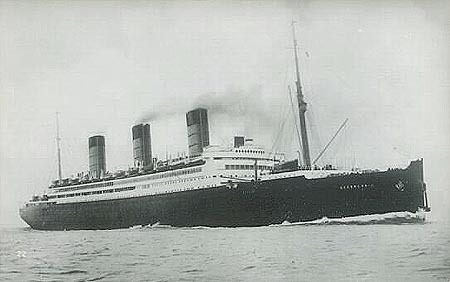 In 1921 she entered Cunard Line service as the Berengaria. 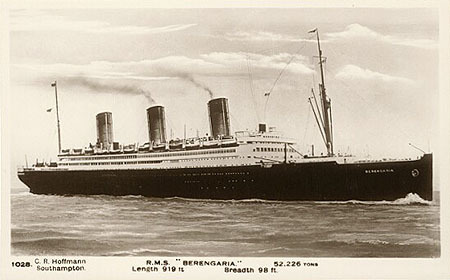 In 1938, Berengaria was sold for scrapping after a fire at New York. 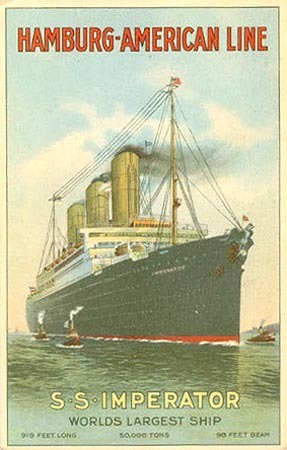 HAPAG advertising postcard for Imperator. 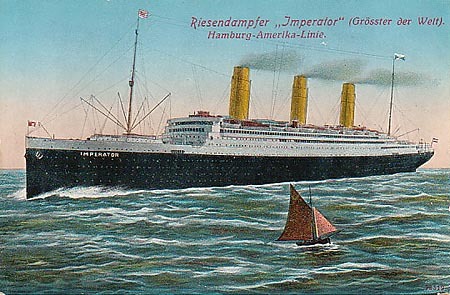 German art postcard of Imperator. 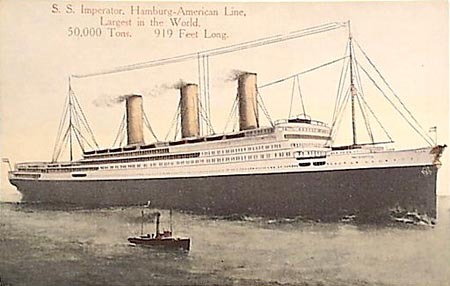 American art postcard of Imperator. 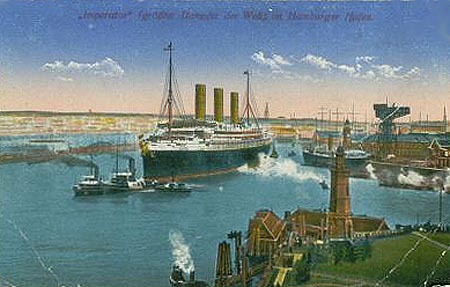 German art postcard of Imperator, at Hamburg. 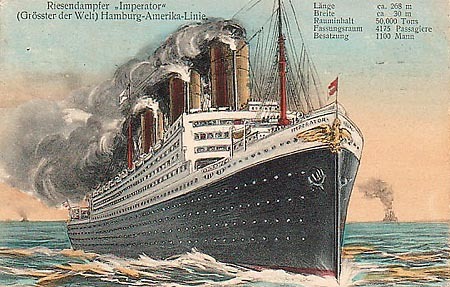 German art postcard of Imperator, after the bow eagle was removed. 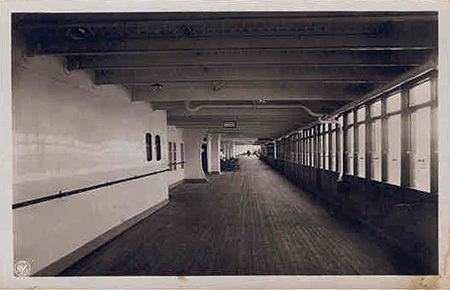 The Promenade Deck on Imperator. 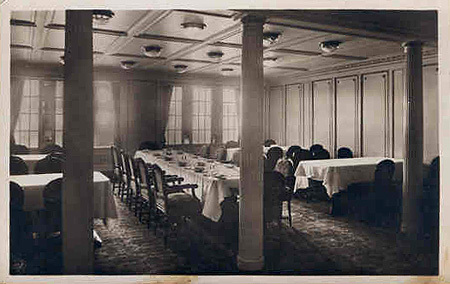 The Children's Room on Imperator. 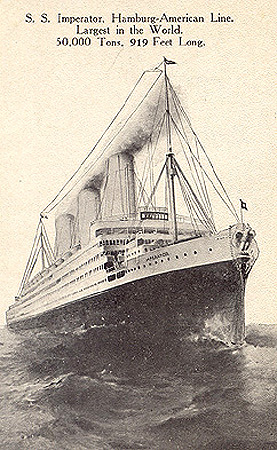 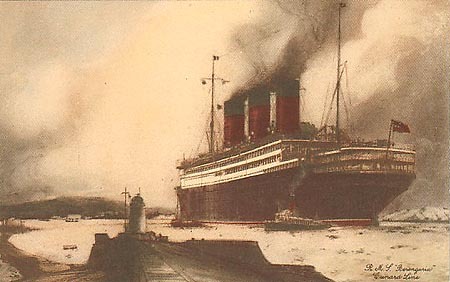 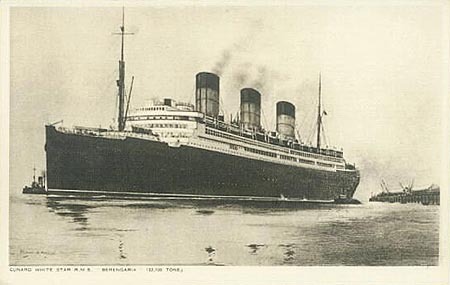 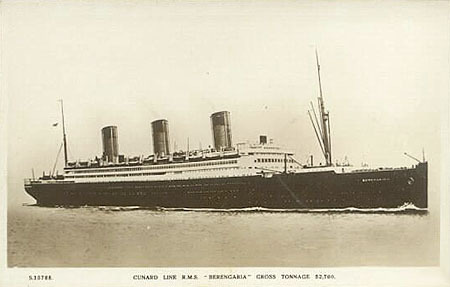 An official Cunard Line postcard of Berengaria. 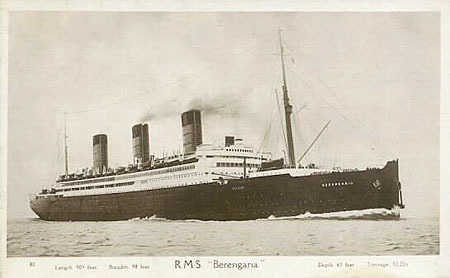 C.R.Hoffman (Southampton) real photographic postcard of Berengaria. 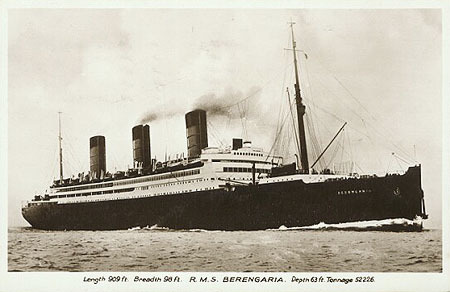 Kingsway real photographic postcard of Berengaria. 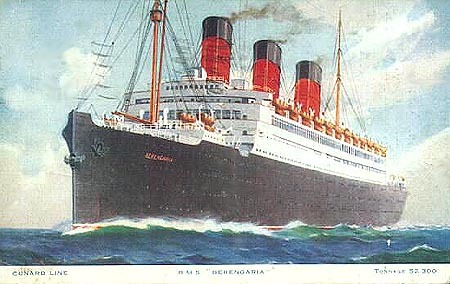 F.G.O.Stuart real photographic postcard of Berengaria. 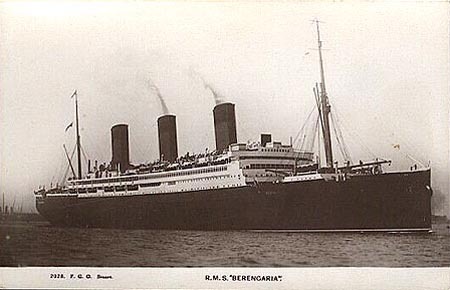 Real photographic postcard of Berengaria. 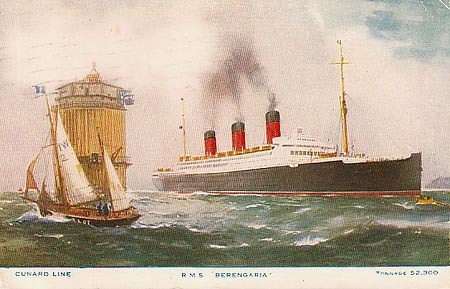 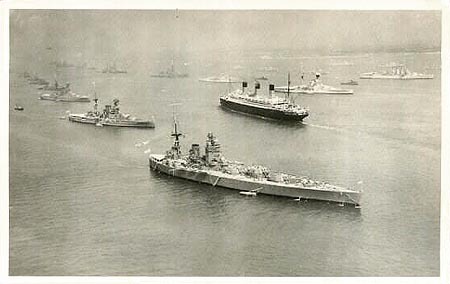 Postcard of Berengaria passing through the Fleet at Spithead. 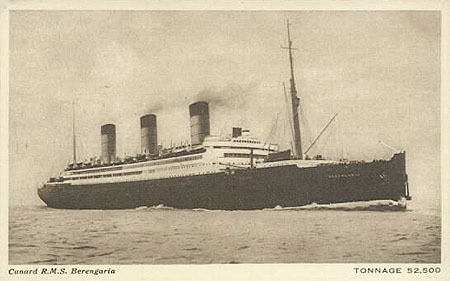 F.G.OStuart real photographic postcard of Berengaria. 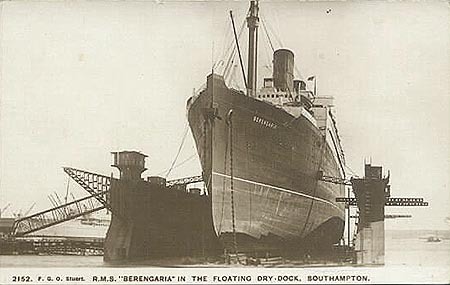 in the Southampton floating dock. 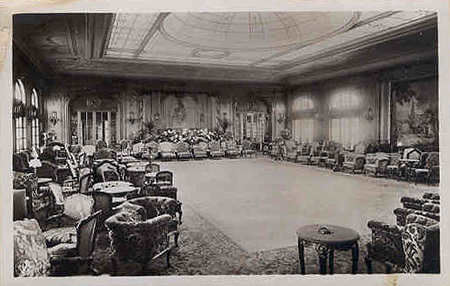 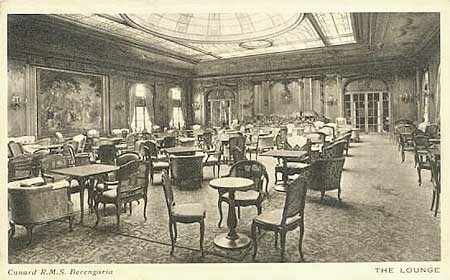 Cunard Line postcard of the Lounge on Berengaria. 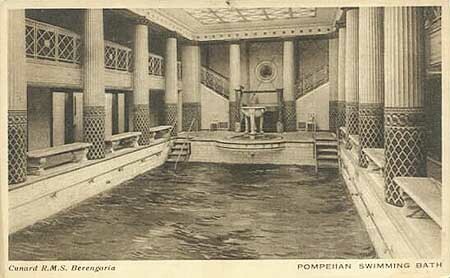 Cunard Line postcard of the Pompeiian Swimming Pool on Berengaria. 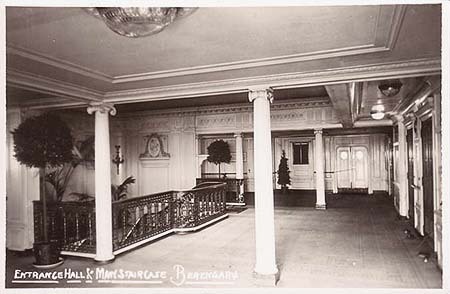 Real photographic postcard of the Entrance Hall & Main Staircase on Berengaria. 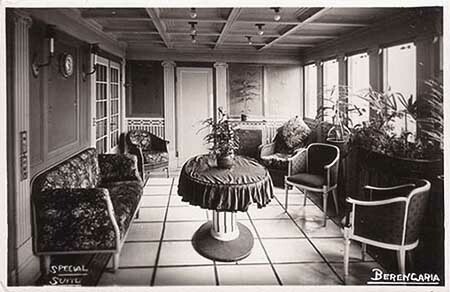 Real photographic postcard of a Special Suite on Berengaria.